Sarah Bullen has worked with authors and publishers for over 17 years as an international writing coach and book editor. Sarah has written two non-fiction books, a children’s book and has contributed to numerous anthologies and collections. She has edited over ten books. She was the former personal finance editor at the Mail & Guardian, radio news editor at Business Day radio and had a 10 year career as a magazine publisher and editor. She teaches personal narrative fiction at MA level. Sarah is a frequent guest on talk shows and literary festivals and a contributor to magazines internationally. Sarah joined High Spot Literary in 2019. She represents authors of non-fiction, commercial fiction (with a special interest in romance, crime, Middle Grade Fiction and Young Adult/ New Adult). She also represents celebrity or breathtaking memoirs. Sarah has written six books including ‘Hey Baby: The Hip New Mom’s Guide’ and ‘Romance 101, Can your Relationship Survive your Kids?’ published by Penguin Random House Struik, two children's book and a romance. She is a professional ghostwriter and writes four books a year under commission - mostly non-fiction. House and Garden, Business Day, Business Day Wanted lifestyle supplement, New Media Publishing (freelance lifestyle writer and reviewer for a few of their custom titles), The Guardian (UK), Mail & Guardian, The Times, The Good Weekend, Fair Lady, Femina, Your Baby, Horizons. 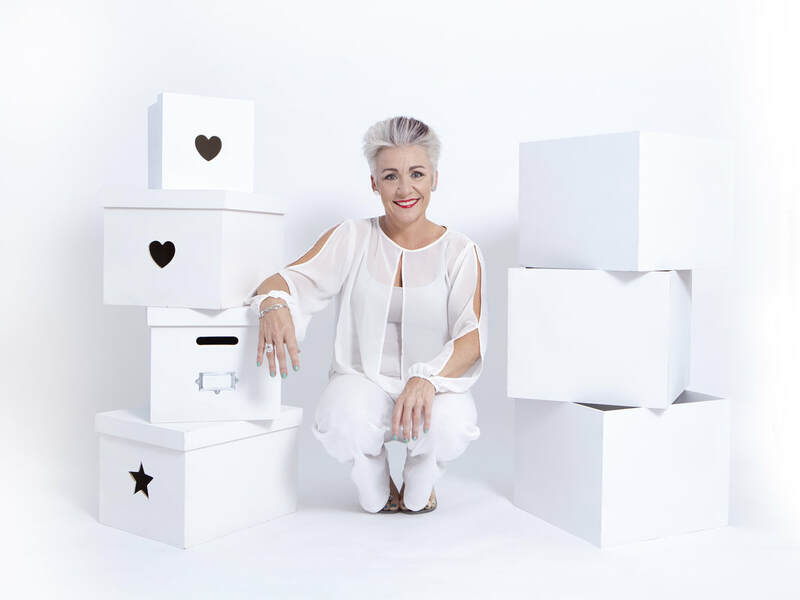 Kate Emmerson, The Quick Shift Deva helps clients to stop playing small and mucking about by creating a life they love by following steps to STEP IN, STEP UP and STEP OUT. Her motto is LIVE LIGHT, LIVE LARGE and she offers her enLIGHTening ideas globally, as a best selling author and international speaker. She shares her obsession with productivity, leveraging and de-cluttering through location-free online coaching, unique mastermind groups for entrepreneurs,business decision makers & CEO’s, as well as travelling globally for speaking engagements and working internationally with the YPO. She was hand picked to star alongside the world top self development leaders in an award winning USA movie, “The Secrets of the Keys”. She has taken her message to the next level with THE MINIMALIST MANIFESTO and has been living location free since Jan 2016. ​Kate and Sarah facilitate once-in-a-lifetime international writing retreats and the Writing Mentoring Groups together.